All posts tagged "wide width"
Wide Calf Boots for Fall and Where to Find Them All! New Video! 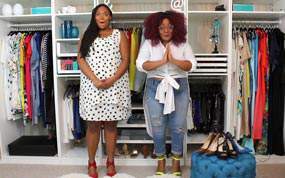 Accessorize to Maximize with Guest, A Thick Girl’s Closet! Eloquii Introduces Shoes and Wide Calf Boots!